You already know that protein is a crucial component in our diet, responsible for plenty of functions including producing enzymes, hormones and other chemicals. Protein keeps your metabolism running efficiently, your energy up and blood sugar levels stable. Plus, when it comes to training, adequate protein allows your body to recover properly after a workout, repairing muscle tissue the right way. The list of health benefits to eating the right amount of protein is truly endless. When you think of protein, you’re probably thinking main dish: Meat, eggs and so on. But have you thought of protein as a side dish? Skip the brown rice or potatoes and try beans, legumes or grains like quinoa, amaranth or millet to sneak in more protein in your diet. Quinoa, for example, has 6 grams of protein per serving. Green peas are a great way to add protein to your meal with 8 grams per serving and less than 100 calories. Lentils, kidney beans and chickpeas are also options. From hemp seeds (13 grams of protein per 3 tablespoons) to pumpkin seeds (39 grams of protein per cup or 5 grams per ounce) and chia seeds (5 grams of protein per 2 tablespoons), seeds contain more protein than nuts and less saturated fat. They’re higher in amino acids and can be sneaked into many meals. You can add them to Greek yogurt to boost the protein content, protein shakes, salads, even fish! Think pumpkin-seed-crusted Tilapia, for example. 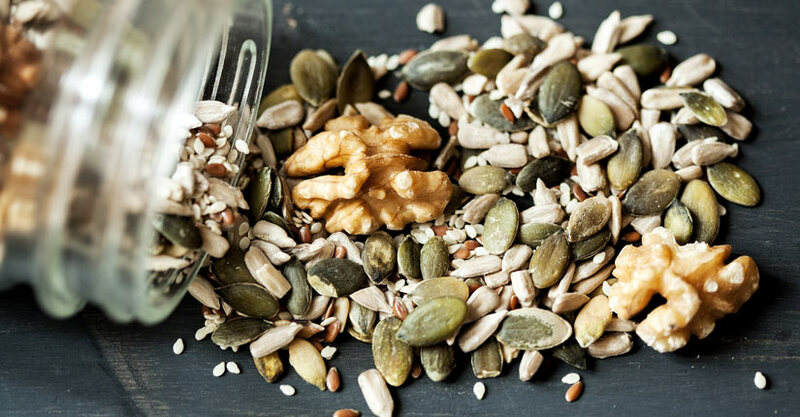 Even sunflower seeds, flax seeds and sesame seeds have protein. Two tablespoons of sunflower seeds add 6 grams of protein to your meal. You can add seeds to soups, oven-roasted vegetables and more. Yes, your salad has protein even before you add that baked salmon or chicken breast to it. Whether you have it for lunch and/or dinner, it’s a great way to get a regular source of protein. Two salads a day can add over 10 grams of protein to your daily intake. Kale and spinach both have 5 grams of protein in a cup. Broccoli, asparagus and arugula also have 5 grams, but for a bigger portion, 1 1/2 cup. Besides protein shakes, protein powder such as BPI Sports Best Protein™ can be added to many snacks to increase the protein level. 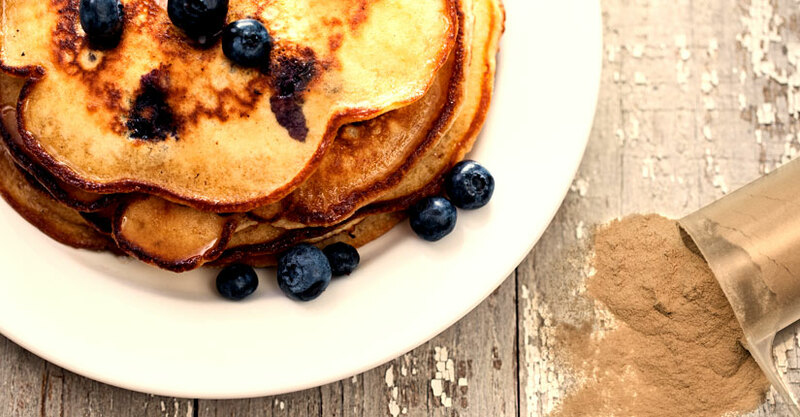 You can add it to baked goods and desserts like muffins, cupcakes and brownies, breakfast foods like pancakes, waffles and oatmeal, and even yogurt or puddings. So you’ve got your main dishes taken care of, but you can sneak more protein into your day by just turning your carb-heavy snacks into protein-heavy ones. Edamame, for example, has 16 grams of protein per cup. Almonds have 7 grams per 1/4 cup. Cottage cheese has 25 grams of protein per cup. Eat celery with peanut butter for a tad over 8 grams of protein. Deli turkey, hummus and cheese are also all great snacks to increase your protein intake.